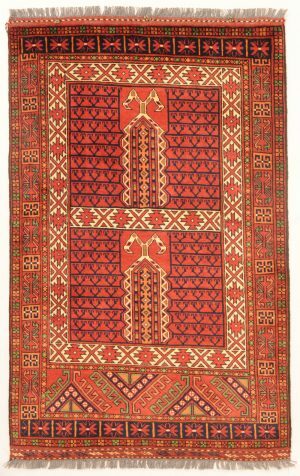 Khan Mohammadi rugs feature a few characteristic traits that you would see in other Afghan rugs including the geometric designs and the deep, rich colors. 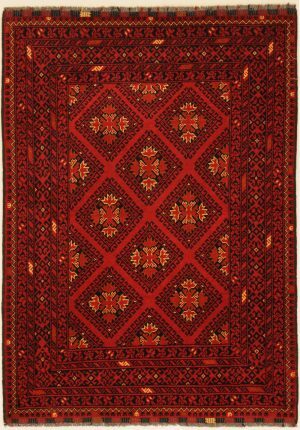 What differentiates Khan Mohammadi rugs from others manufactured in this region is the high knot count of the rugs and the high quality of wool that is used in the weaving. 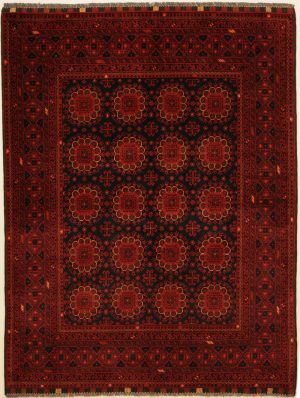 Also known as Khal Mohammadi rugs, these rugs have an interesting and unusual origin, starting with their name. 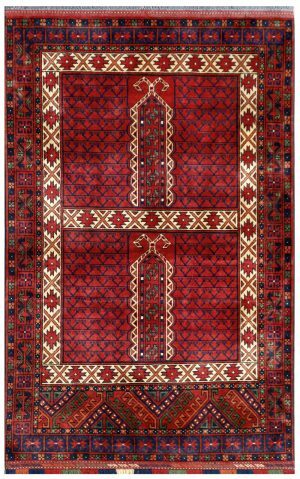 The rugs are named after a person, Khal Mohammad, which is very rare in itself. 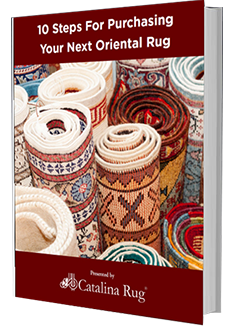 Most rugs are named after the place where they are woven or after the tribe that first started weaving them. Very few other rugs are actually named after any person. The 1970s saw a lot of turmoil and unrest throughout Afghanistan brought on by the Soviet occupation and the ensuing civil wars. Unlike many nationals who tried to flee the country, Khal Mohammad, a skilled dyer and weaver from the northern region of Afghanistan refused to leave. 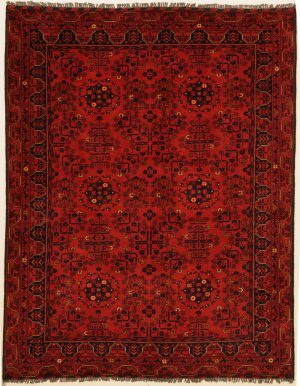 Instead, he continued to create rugs whenever he could using his dyeing expertise to create rugs with the most unusual colors that had a depth and richness that were inimitable. With a burning goal to showcase the skills of native Afghani weavers to the world, he set up several factories throughout the northern Afghanistan region and trained weavers in this highly skilled art of weaving and dyeing the rugs. Till today, all Khan Mohammadi rugs are manufactured only in and around the town of Kunduz in northern Afghanistan, which is also one of the main marketing centers in the region. 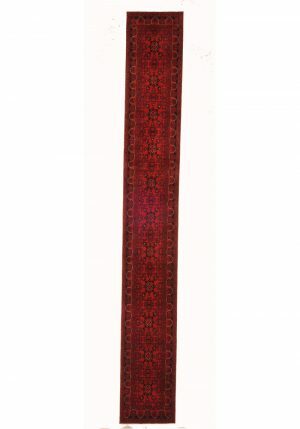 Khan Mohammadi rugs are typically woven using wool that has been dyed to a deep, rich red. 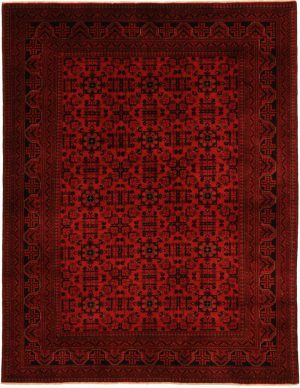 What is interesting to note though is that although red is a distinctive color in all of these rugs, when you look closely at any finished piece you will see that it actually features an assorted array of deep red shades woven together artfully to create a unique, exotic hue that is one of its kind. This skillful combination of colors that ranges from warm rust and vibrant terracotta to deep, dark maroon is what gives these rugs their outstanding character and detail.